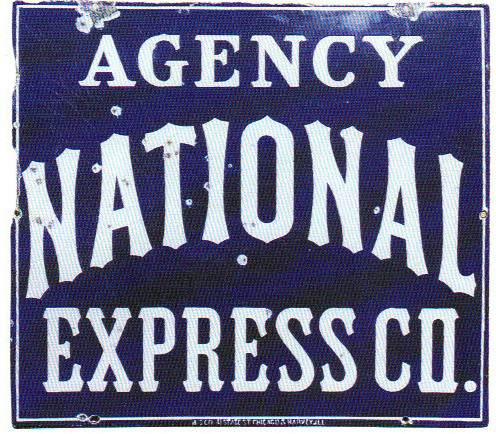 This is a square National Express Co. Agency porcelain sign. This particular National Express Co. Agency sign is blue with white print. It reads, “National Express Co. Agency”.